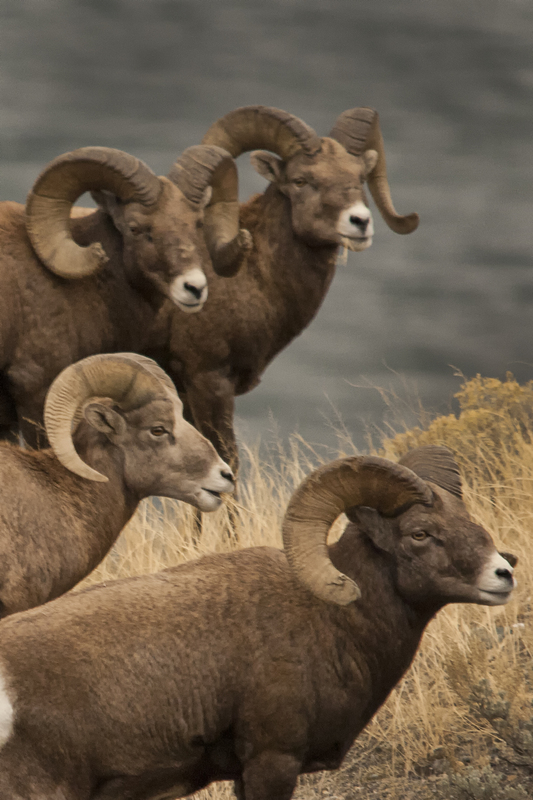 Meeting Photographers and Photographing Bighorn Sheep. 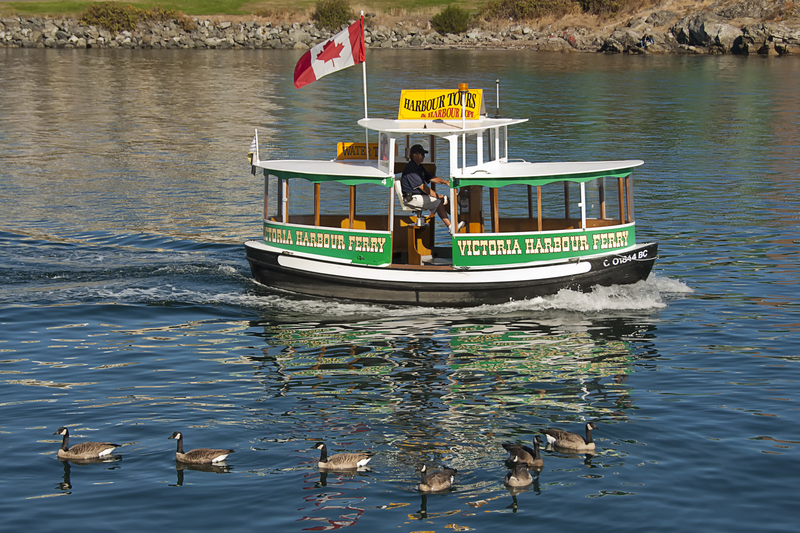 Last week I wrote that I had a great time doing photography as I toured Victoria’s waterfront, and said that along with photographing a different environment I met interesting people, and even spent time with other photographers. One of my goals for that Victoria excursion was to meet and spend time with the well-known painter, photographer, and documentary filmmaker, Karl Spreitz. His interesting career included working as a news photographer in Prince George, BC, for CTV television, for the BC Department of Travel and Industry, and as staff photographer/editor for Beautiful BC magazine. Spreitz, now in his eighties, is a fountain of knowledge about film and photography and has been acquainted with most of the important west coast Canadian and American photographers for the past 50 years, and I was delighted to be able to spend the afternoon talking to him about photography and listening to his stories. I like being a photographer. I also enjoy socializing with other photographers and spending time with a long time photographer like Spreitz is a rare opportunity I will always take if given the chance. 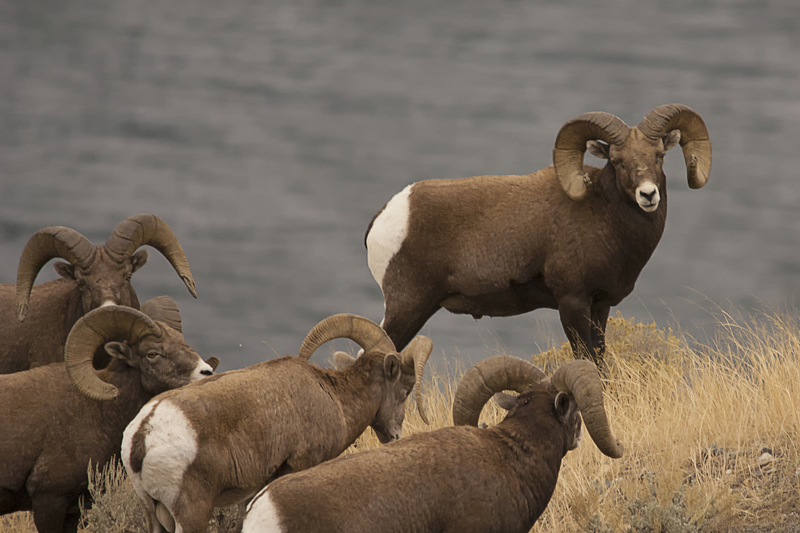 After I returned home from Victoria I was provided the opportunity to go out with my friend Walter to photograph bighorn sheep. We sat on a windy, sagebrush-covered hill overlooking Kamloops Lake. They should have been in rut at this time of year and we hoped to get shots of their violent head butting, but as it was most were bedded down or lazily wandering through the sagebrush. As I sat I thought about Spreitz making fun of us that live in the BC interior. He said when the magazine needed pictures from the region I live in they would just look for any old picture of sagebrush and bighorn sheep and run with that. At the time I knew he was teasing me, I laughed then and again to myself on that windy hilltop, thinking that was exactly what I was viewing. Our strategy was to let the sheep get used to us. We sat and waited for something to happen. Once the sheep got comfortable with our presence, we slowly moved in for closer and better pictures. Both Walter and I had our long telephoto Sigma lenses. Walter’s is a 120-400mm and mine a 150-500mm. For this type of photography we preferred multi-focal (zoom) lenses. The sheep sometimes got pretty close and a fixed focal length lens would have been limiting. I know I am always recommending tripods, but on that occasion with all the steep climbing and odd angles, tripods made photography awkward, so we had to hand hold those big lenses. The acceptable technique is to follow the old photographer’s rule; “Always use a shutter speed equal to or more than the focal length of the lens.” I make multiple exposures, expect a few soft images and hope for the best. 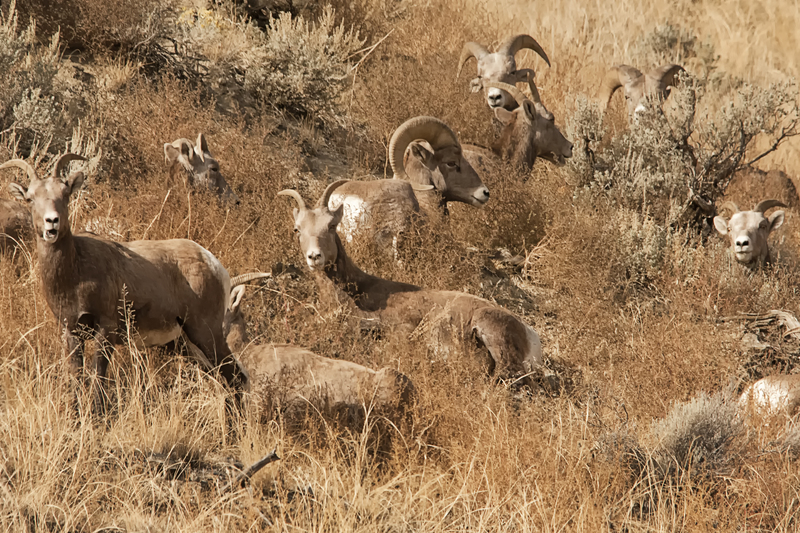 However, on that occasion there wasn’t any real action from those lazy bighorn sheep and it was easy to get usable, shake-free exposures. I suppose the challenge was to get images that were interesting. 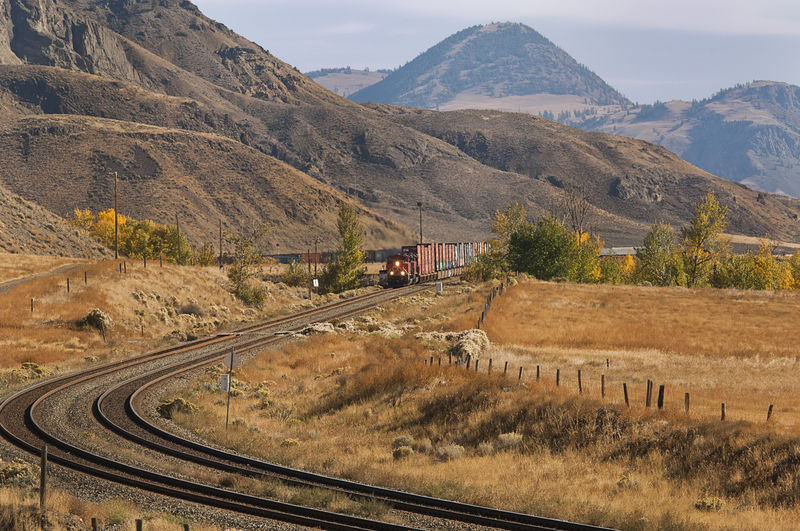 I don’t know about Walter, but for me that meant climbing around to get lots of different angles, and for that occasion I even ended up taking several pictures of an oncoming train in the colourful Kamloops fall landscape. Finally, we were overcome when the wind became so strong that it became hard to stand (or sit for that matter) without moving, so we headed home. We had been in the hills most of the day and even though our memory cards weren’t loaded with exciting pictures we agreed that the day had been fun anyway. How much better can it get? Two consecutive weekends filled with fun photography in very different places, and, in my opinion, both spent with, interesting photographer companions. 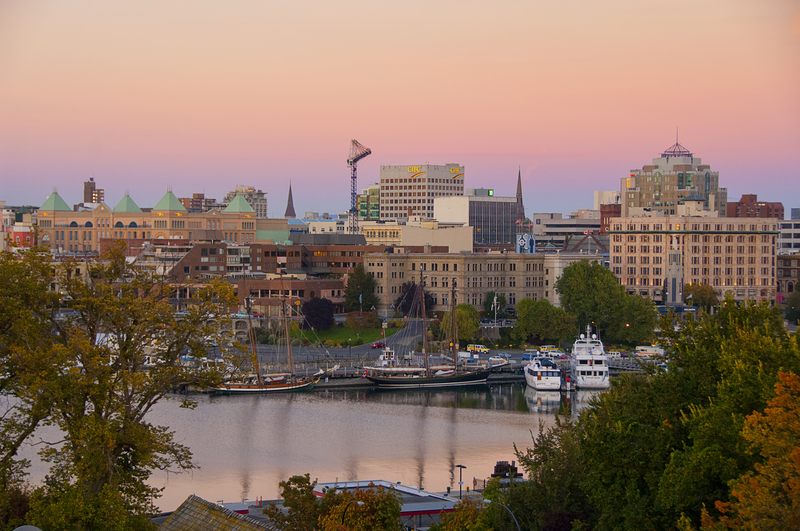 We had decided to escape for a few days to Victoria, British Columbia, over the Thanksgiving weekend. 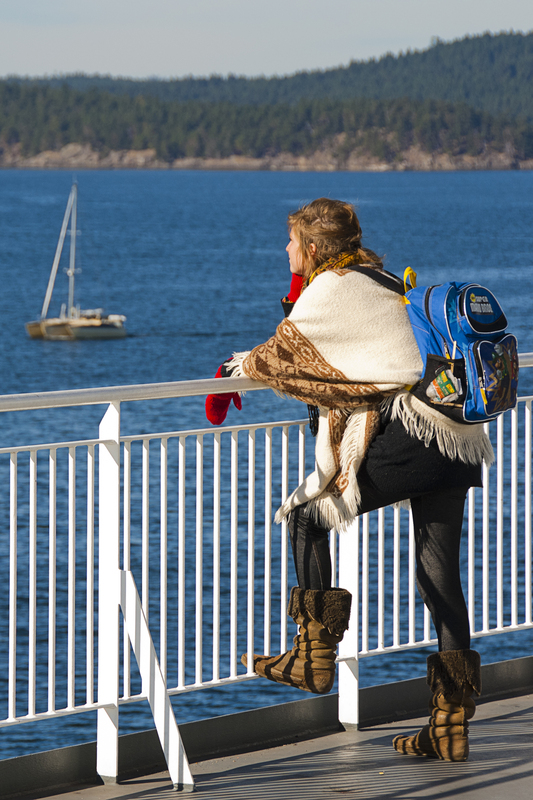 The ferry docked at Schwartz bay, we disembarked, and made the scenic drive into Victoria. This is a bustling, picturesque city surrounded by water that is, in this photographer’s opinion, a perfect place for a photographer to wander around looking for photographic opportunities. We were lucky in that our hotel room was on the ninth floor with a beautiful view overlooking a panoramic harbour only a block away. It was perfect setting for a photographer. Upon reaching our room, the first thing I did was set up my tripod on the balcony, attach the camera, and start taking pictures of the view. 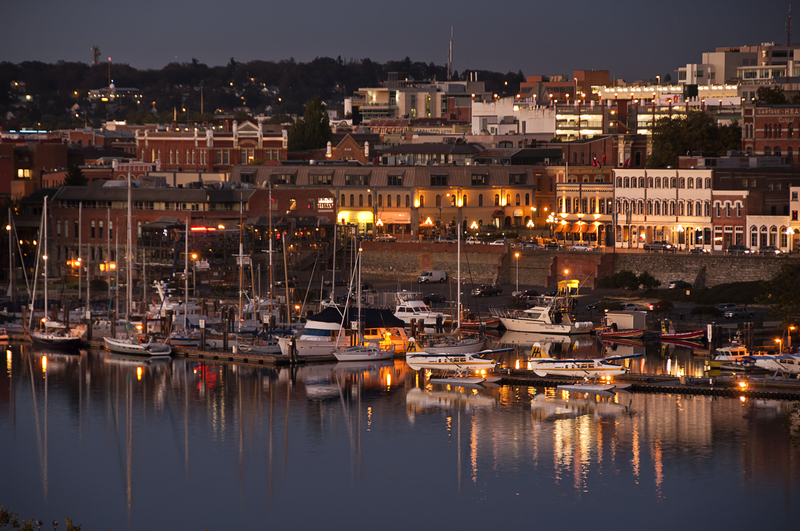 I wanted photos that showed the warm afternoon light, and later on more photos displaying the early evening sky as the city lights began turning on, and finally as the sun vanished, I made lots of long exposures with the only illumination coming from the harbor and the city. Our first morning had a beautiful blue sky with only a slight breeze and as my wife got together with her long time friend and left for a day of site-seeing and some shopping, I got out my camera and made my way to down to the water front on foot. My wife and I live in the very dry interior of the Province with rolling hills, lots of lakes, and a large river, however the ocean and everything connected to that environment there is unfamiliar and exciting and I couldn’t wait to start taking pictures. I chose to bring my 18-200mm lens. The 18-200mm is a lightweight, multifocal length lens with an aperture range of f/3.5 – f/5.6. I know that many photographers these days are favoring wider apertures like f/2.8, but I would be using smaller apertures because I wanted scenics with a sharp focus from foreground to background. 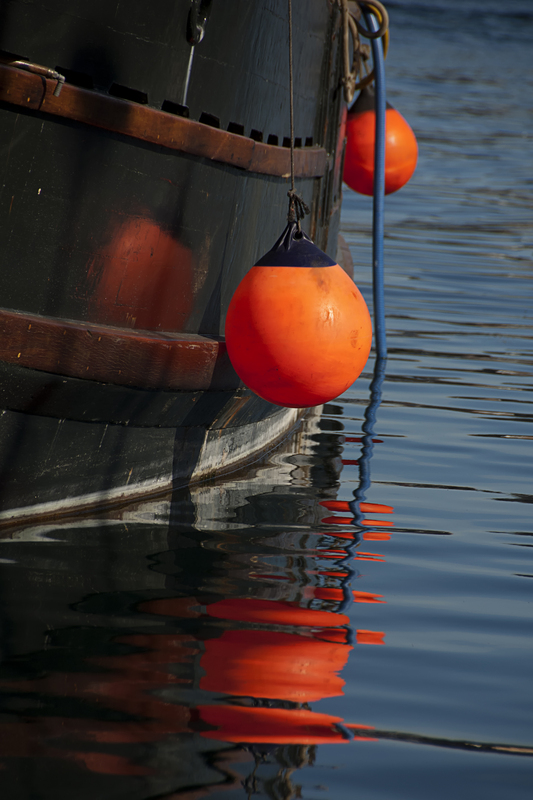 Using a wide aperture would reduce that depth of field. And for those readers that would say, “what about those lowlight evening images from the balcony?” My answer is that those were the images that especially needed all the depth of field I could get and most were f/8 or more. Besides I was using a tripod and a cable release. Anyway, there wasn’t anything in my pictures of that lowlight cityscape that would be moving and I could use as slow a shutter speed as was necessary to get an exposure that worked. I call lenses like that 18-200mm “vacation” lenses because they are so versatile. I have never been one for carrying lots of equipment and a lens that gives me both wide and telephoto capabilities saving me from carrying a bag full of lenses. My plan was to spend as much time as possible walking along the waterfront. I meandered back and forth thinking nothing of retracing my path when there might be another subject angle I wanted to consider, and the added weight of a heavy wide aperture lens, or additional lenses, would have slowed me down. Exposures change with how the sun reflects off a subject and returning to a place previously photographed several blocks away seemed worth the effort. I had to get used to how the reflection off the water tricked my camera’s light meter. I don’t know if all cameras are the same, but in my experience relying on the camera’s meter in many cases will result in an over exposure. So I always underexpose around large bodies of water. That’s easy. I just make a few exposures and check my histogram until I am satisfied. 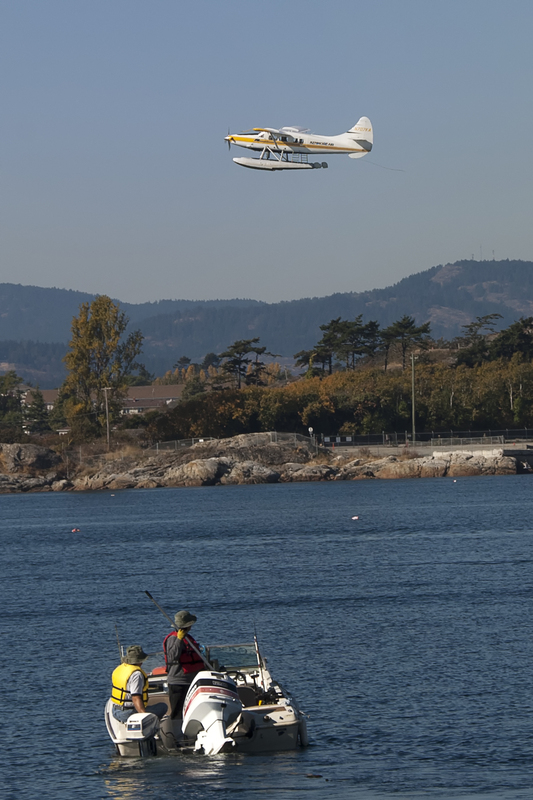 I had a great time photographing boats, planes, birds, and pretty much anything else on, off, and around the water that caught my eye as I roamed Victoria’s waterfront. I found new subjects, met interesting people, and even spent time with other photographers. I really enjoyed the change of photographic scenery and highly recommend any photographer to change things up to refresh their perspective. 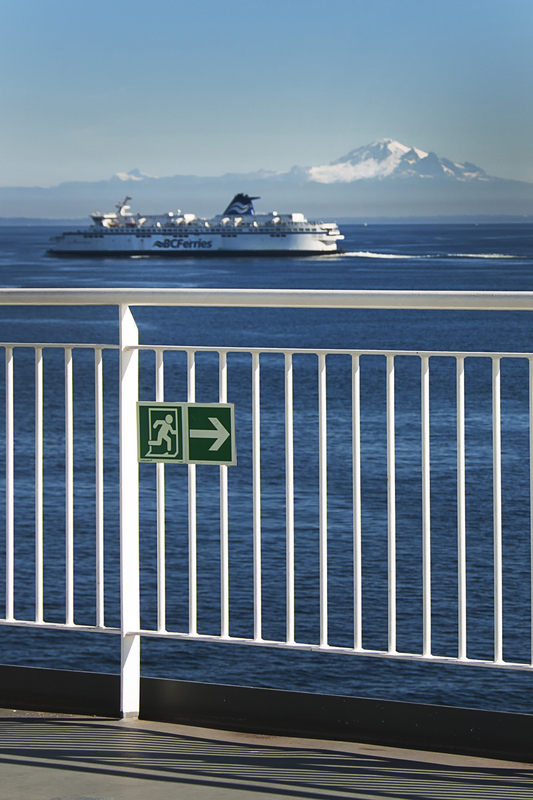 My wife and I boarded the BC ferry Coastal Celebration to Victoria, BC. 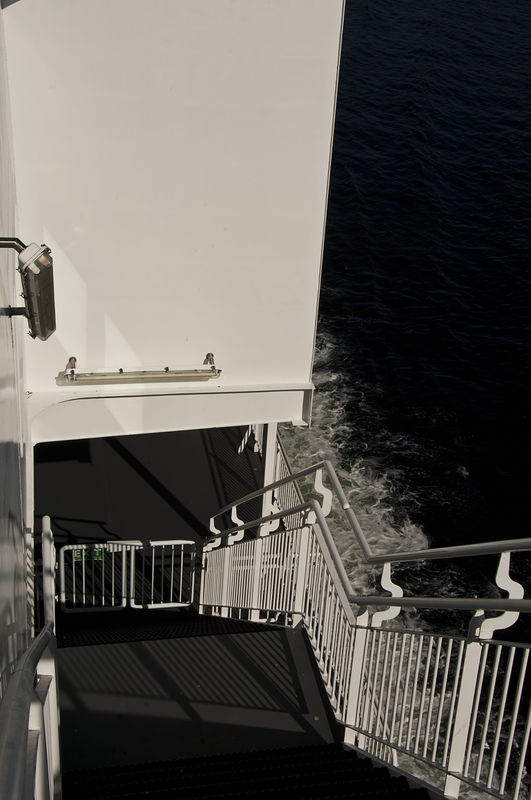 We parked our car, picked up our cameras, and proceeded up to the sundeck. 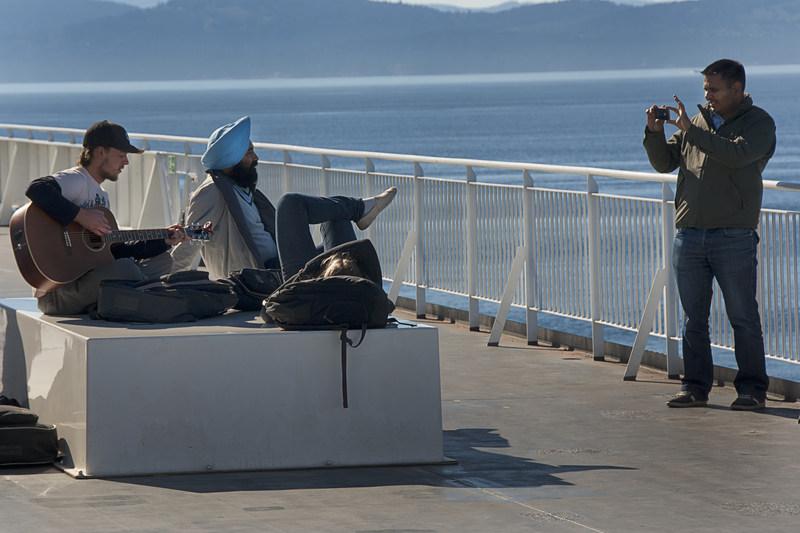 The day was clear blue and the ferry’s sundeck was packed with people with their cameras, all searching for joyful memories of the one-and-a-half hour ocean crossing from Tsawassen to Swartz Bay. The weather was pleasant and encouraging for those travelers who wanted to stay outdoors. When the wind became too gusty the passengers would step behind glass partitions designed to provide protection yet allow for an unobstructed view. I think, with maybe the rare exception, the photographs being taken were of friends or family posing against the rail. Another favourite photo was the group shot around a table, (arm extended style with camera pointing back at the shooter), and then another favourite, of course, was of other boats passing by. And finally, there were lots of shaky pictures of the luxury homes that were perched on the shores of small rocky islands. One has to admit, after taking that picture of a spouse or friend standing in front of some scenic location, all the rest are just repetition. I took my wife, Linda’s picture holding her camera, a little tired with all the traveling, hair blowing in all directions, standing next to a white rail with blue water behind her. I’ll treasure that picture because it’s her, but she just smiled when I showed her that not so flattering image. I had made the obligatory portrait and was about to be off when a guy and his family walked up and handed me his little digicam and asked me to take a group picture. I posed them, made one fellow remove his sunglasses and changed my angle a couple times as I took their family-on-the-ferry portrait. My wife later mentioned that the fellow had been watching and she was sure was waiting for a moment when he could ask me to take their picture. I am sure he had just looked around for the guy with the biggest camera. I guess I won. Although, unfamiliar with the large white, ocean going vessel vibrating under my feet, I was fascinated with all the unique doors and windows, wall mounted things like pipes, speakers, all the odd railings, long walkways and so much more. However, most interesting; it had people, lots of people from all types of places. We heard many languages being spoken. I wandered that windy deck photographing anything that caught my eye, and that included photographing the people. 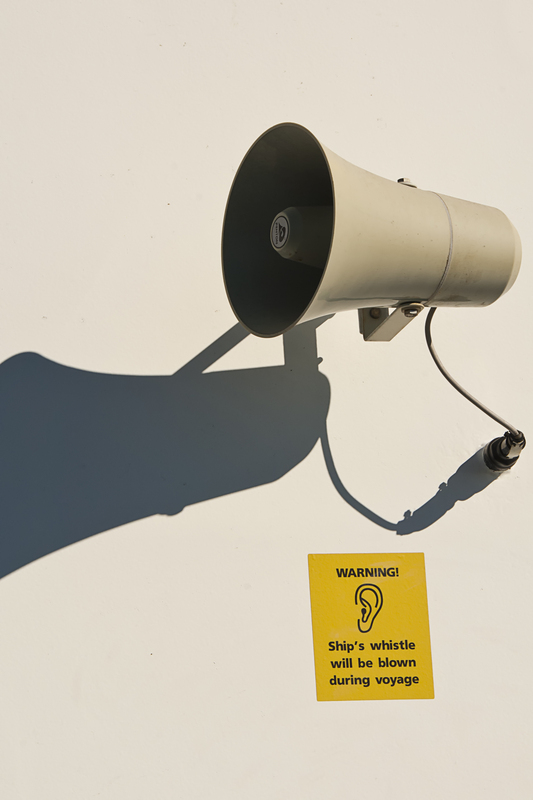 I had my 18-200mm lens on the camera, so it was easy to be inconspicuous. Those in front of my camera either thought I was, like them, interested in some feature beside or behind them in the ocean, or like a guitar-playing fellow I photographed, just didn’t care. Anyway, I wanted to photograph how they were standing, the play of light on them, the ship, and what was around them, I tried for unusual angles through stairs and made silhouettes. 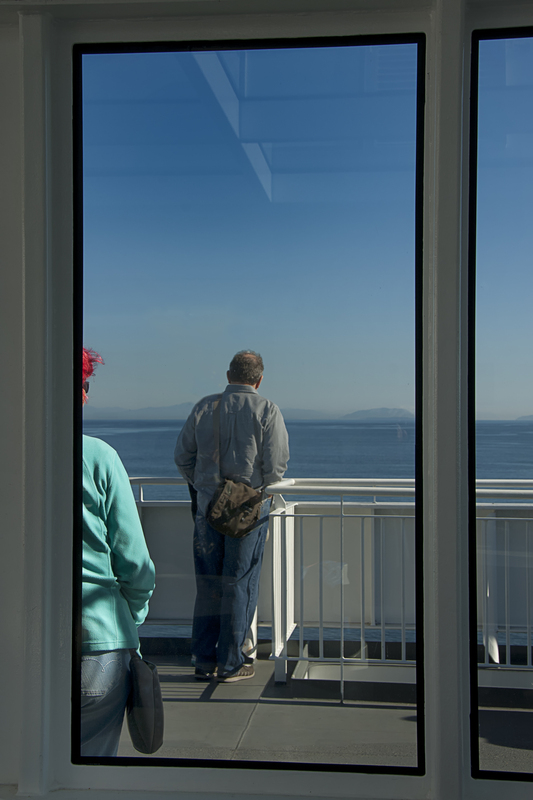 Almost all my images were side or back shots, after all I didn’t know them and wasn’t interested in their faces, just how they fit in with everything else on the ferry, or maybe I should be calling it a ship. The hour-and-a-half trip gave me plenty of time to search the ferry for things to photograph, but I was enjoying myself so much that before I knew it the fun was over with the sound of the ship’s horn and an announcement to return to our cars.